The study of governance may be currently in fashion, but it is also a firmly-established lens through which the complexities of contemporary policy making can be analysed while examining the ways in which a society and its political processes are organized and steered. 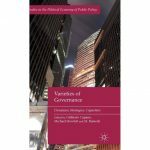 Governance thus needs to be seen as a general concept within political analysis which offers a necessary heuristic tool for understanding the complexities of political processes, the policies these produce and the outcomes they generate. However, despite a great deal having been written on the subject in recent years, questions remain about many fundamental aspects of governance. This is especially the case when trying to define the modes of governance and their dynamics. 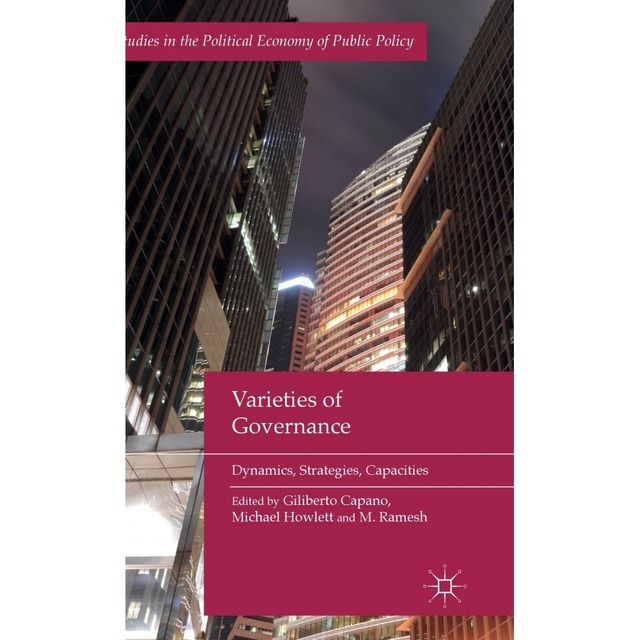 Many varieties of governance exist, both cross-nationally and cross-sectorally: Understanding why and how it is important for the future of governance studies is the subject of the cross-national and theoretically-informed case studies presented in this volume. Giliberto Capano is Professor in the Scuola Normale Superiore, Italy. He is the co-editor of the journal Policy & Society, and Journal of Comparative Policy Analysis. His research focuses on governance dynamics, policy change, legislative behaviour, and comparative policy, and has been published in a number of journals such as the Journal of European Public Policy, Public Administration and Journal of Comparative Policy Analysis. Michael Howlett is Burnaby Mountain Chair in the Department of Political Science at Simon Fraser University, Canada, and Yong Pung How Chair Professor in the Lee Kuan Yew School of Public Policy at the National University of Singapore. He specializes in public policy analysis, political economy, and resource and environmental policy. Howlett is the author of Canadian Public Policy (2013) and Designing Public Policies (2011), editor of the Annual Review of Policy Design and Policy Sciences, and co-editor of the Journal of Comparative Policy Analysis and of Policy & Society. His articles have been published in numerous professional journals in Canada, the United States, Europe, Latin America, Asia, and Australia and New Zealand. M. Ramesh is Professor of Public Policy in the Lee Kuan Yew School of Public Policy of the National University of Singapore. Specialising in public policy and governance in Asia with a particular focus on social policy, he has authored and co-edited many books such as the textbook Studying Public Policy (with M. Howlett and A. Perl, 2009), which has been translated into over a dozen languages. He has also published extensively in reputed international journals and is the co-editor of Policy and Society.